Red Hat has updated Enterprise Linux 5.7, which now includes several features from Red Hat Enterprise Linux 6. The operating system processors supports deployments on Intel, AMD, POWER and IBM System z architectures. Support for new hardware from Red Hat partners encompassing processors, chipsets and new drivers for storage, networking, and graphics allows Red Hat Enterprise Linux 5 deployments to benefit from new hardware platforms delivered in 2011, including Intel, AMD, POWER and IBM System z. Several virtualization enhancements in Red Hat Enterprise Linux 5.7 include improved migration performance for KVM, as well as several performance and scalability improvements for the Xen hypervisor. OpenSCAP introduces support for the Security Content Automation Protocol, including a library and set of utilities, giving a standardized approach to validating Red Hat Enterprise Linux security. First introduced to Red Hat Enterprise Linux 6.1 customers and now to Red Hat Enterprise Linux 5 customers, the new X.509 certificate-based Subscription Manager feature delivers Red Hat Enterprise Linux subscriptions and software services in a flexible, scalable, and secure way. The Subscription Manager tracks subscriptions assigned to a system and configures software updates for better availability and faster update speeds. Added features for network bridging and LDAP features for autofs improve centralized management of user filesystems in an enterprise environment. New fencing features boost cluster reliability in Cisco UCS system and VMware environments. 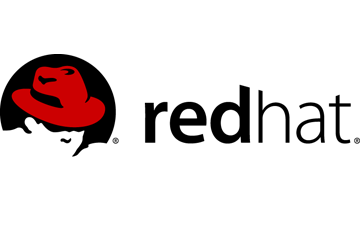 Red Hat also offers a security framework based on the OpenSCAP Security Content Automation Protocol, including a library and set of utilities, giving a standardised approach to validating Red Hat Enterprise Linux security. Other features include networking and storage enhancements. Red Hat Enterprise Linux 5.7 now offers network bridging and LDAP features for autofs, which Red Hat says improves centralised management of user file systems in an enterprise environment. It also offers a fencing feature, which aims to boost cluster reliability in Cisco UCS system and VMware environments, according to Red Hat. Red Hat Enterprise Linux 5.7 is available to subscription customers today and is accessible online using Red Hat Network or by using the Subscription Manager feature. Red Hat Enterprise Linux updates are released approximately twice a year, following a defined seven-year lifecycle described here. Subscription options are available to extend the lifecycle of Red Hat Enterprise Linux for up to 10 years.